Nothing beats getting everyone out of the house, away from the screens, and reconnecting with nature. 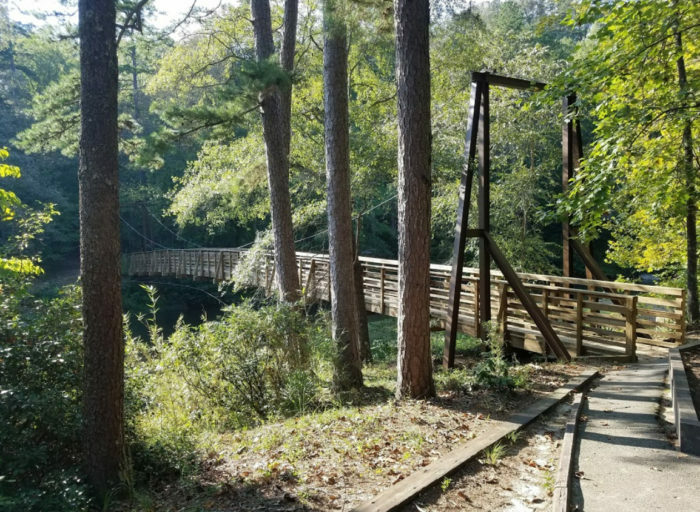 The following seven trails in South Carolina are perfect for everyone in the family (young and old alike), especially the little ones. Whether spending the day with your own kids or your grands, you can’t beat the quality time spent outside hiking. Take a peek at these kid-friendly hikes below… which ones will you conquer first? 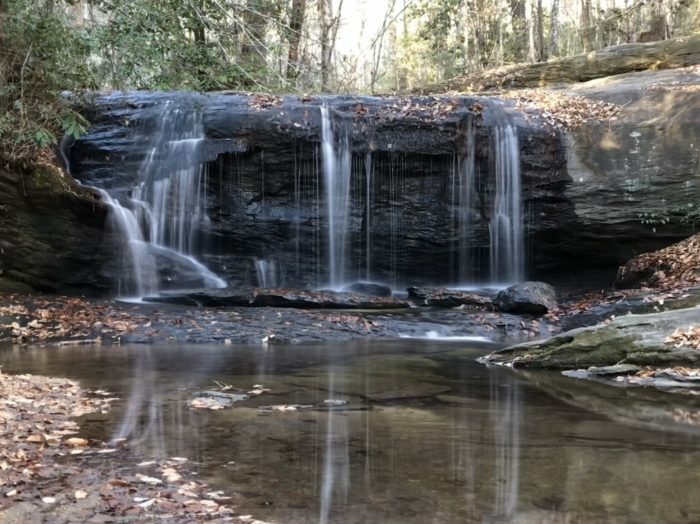 A short 0.3 mile hike from Walhalla's famous Tunnel Park leads to a 100-foot-tall cascading waterfall that has a secret cave ledge under the water veil. Two legends surround this mysterious falls; both involve a Native American named Issaqueena who was chased to this spot. In the first version, she jumped to her death to escape being captured. 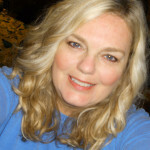 And in the second, she outsmarted them by hiding in that secret ledge cave under the waterfall. 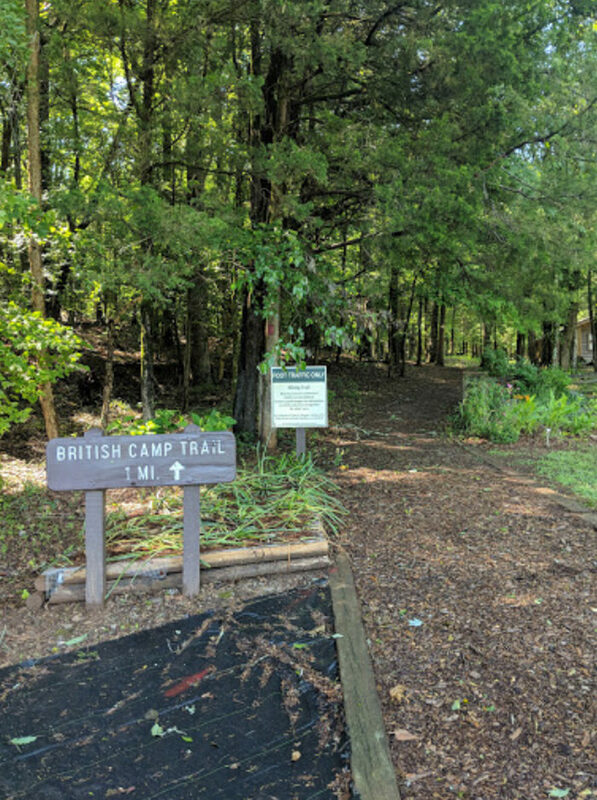 Tunnel Park, and the trailhead to Issaqueena Falls is located on Stumphouse Tunnel Road in Walhalla. 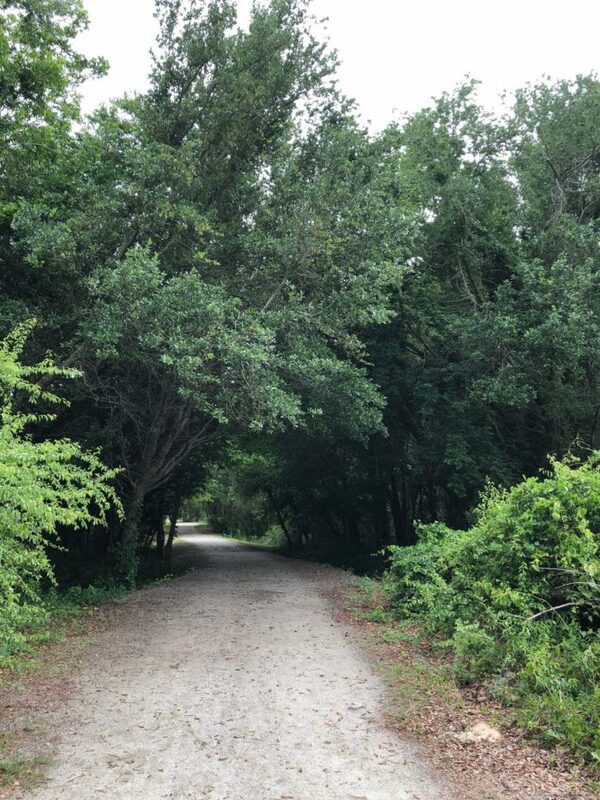 You may be surprises how relaxing this short 0.6-mile trail on Sullivans Island can be. You'll weave your way on a clearly marked trail (but stay ON the trail) and end up at the beach. 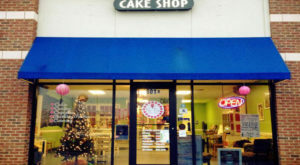 What could be more fun for the kids (or you)? 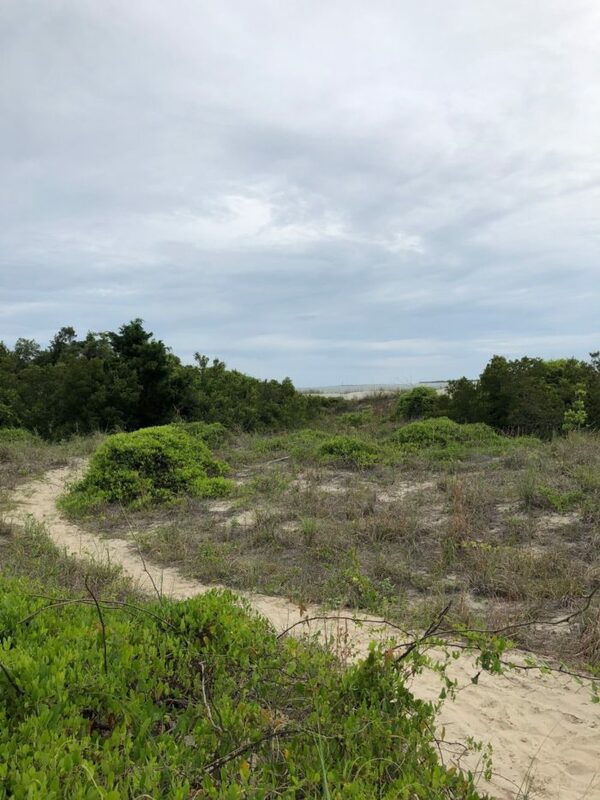 The trailhead is located at the intersection of Station 16 and Atlantic Avenue on Sullivans Island. 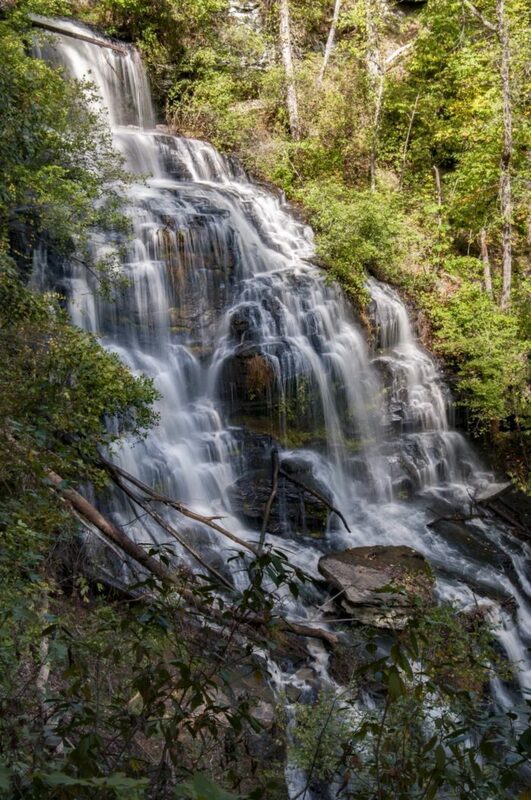 Follow a creek upstream to see a series of three waterfalls on this kid-friendly hike. 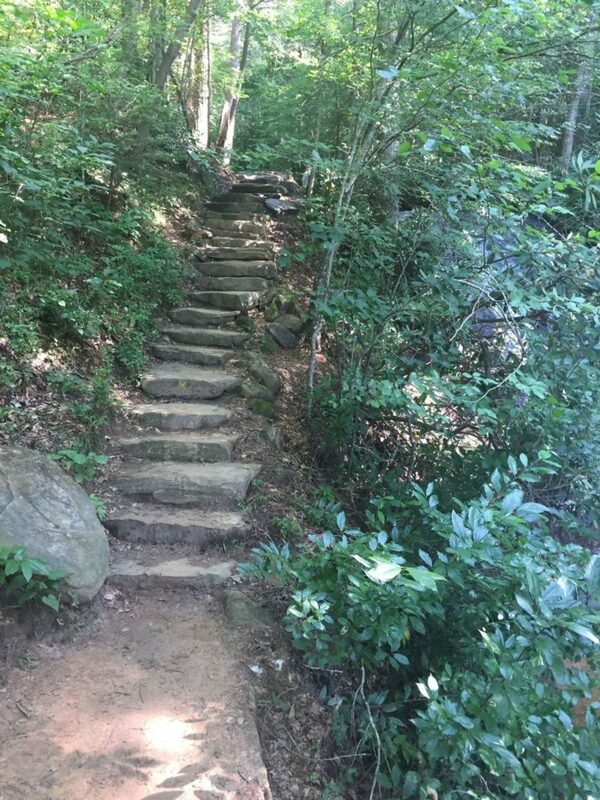 The trail is one mile and has some stairs. Avoid after a rainfall, as things can get slippery, and be sure everyone stays on the trail (for the same reason). 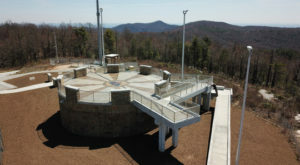 The trailhead is located right on the Cherokee Foothills Scenic Byway (SC-11). Directions and more information can be found at this link. 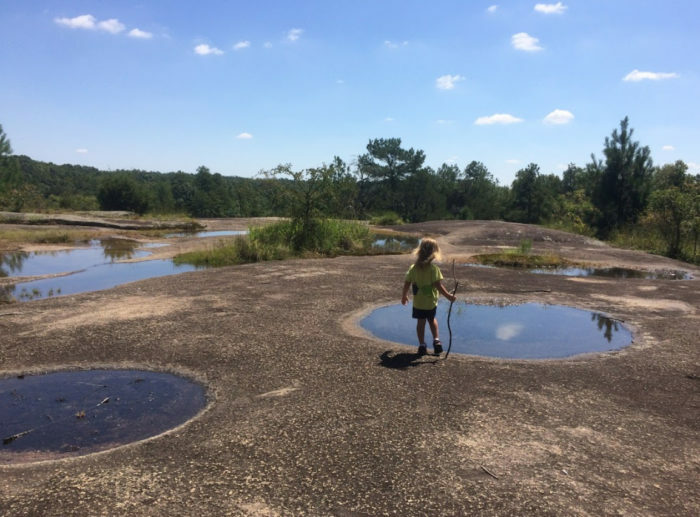 The entire family will love the adventure of exploring this 14-acre rock outcropping. Note: there are two trails. The one from the lower parking lot is 1.7 miles long; however, if you continue driving on that same road you'll encounter another (the upper) parking lot and the trail from this lot is much, much shorter. 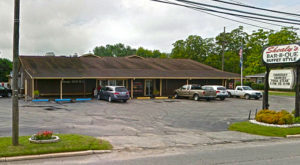 It's located at 2207 Conservancy Rd., Kershaw, SC 29067. 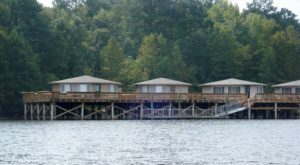 There's much to discover on this short, 0.8 mile loop around Lake Placid, located at Paris Mountain State Park — a mere six miles from downtown Greenville. There's just enough to see to keep both the little ones and the older kids entertained. 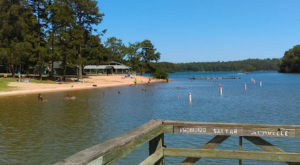 Paris Mountain State Park is located at 2401 State Park Rd., Greenville, SC 29609. The trail begins at the visitor center next to the lake. 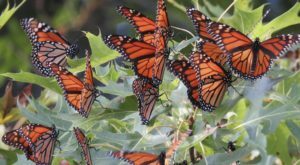 The state park admission fees are: $5 adults; $3.25 SC seniors (age 65 & older); $3/ child age 6-15; Free for children 5 and younger. At only a mile, and with a variety of historic sites along this nature trail, it's easily one of the best "learning" hikes in the state. It leads to an old homestead that was occupied by the British in 1780. The homestead is gone, but there are many ruins to explore. 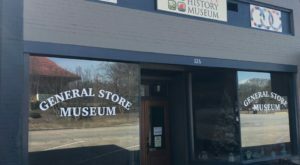 Find it at Musgrove Mill State Historic Site at 398 State Park Rd., Clinton, SC 29325. Admission is free. The one-mile Chau-Ram Falls trail follows a loop around a portion of this county park. 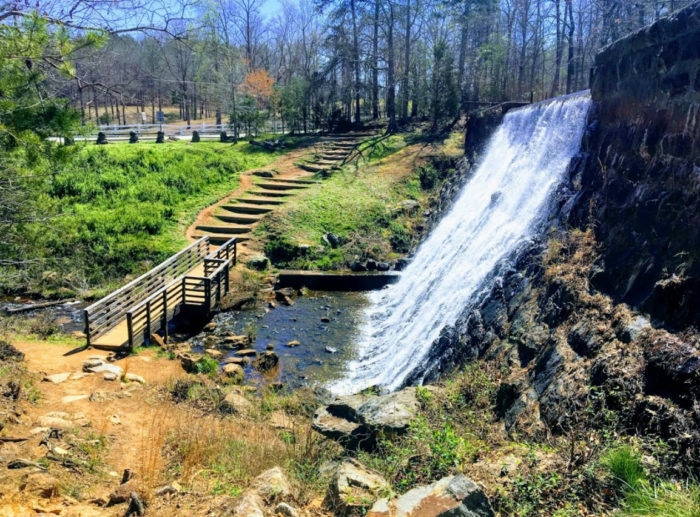 Everyone will enjoy the waterfalls, a suspension bridge over the Chauga River, and after the hike, a perfect picnic to refuel. 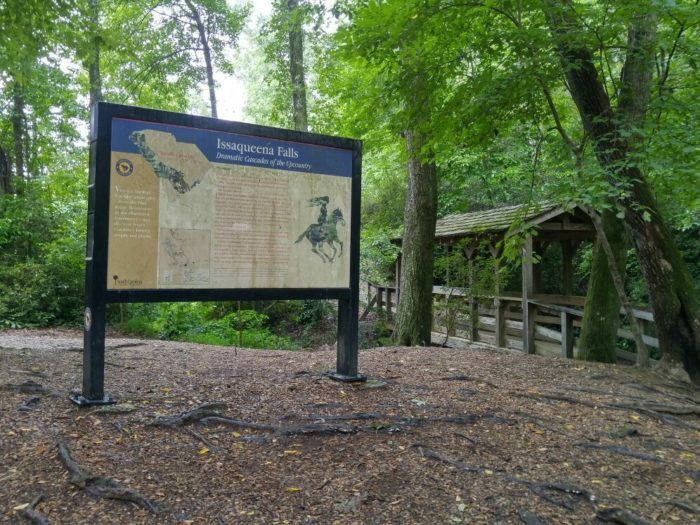 Find the trailhead in the county park at 1220 Chau Ram Park Rd., Westminster, SC 29693. 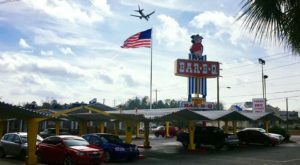 For more adventures in South Carolina while saving some money, check out these 26 free things you can do in the Palmetto State!